Showing a realistic, fire effect in photoshop is a bit tough, but in this tutorial we will learn how to use photoshop to render realistic flames and create a dramatic artwork in few simple and easy steps. Lets begin with the final result of this tutorial, so we will get an idea about what we are going to create next. Create a new document with size 600 x 451px. In layer panel create a new layer, ‘Layer 1’ and fill it with any color. Right click on ‘Layer 1’ and select blending options. Apply gradient effect with the settings as shown below. After applying gradient effect the result will be like this. Download ’Flowers.png’ image. Rename the layer as ‘Flower’ and position it above ‘Layer 1’. Using blending options apply white color to the Flower image as shown below. Now apply the 'Outer glow' and 'Inner glow' effects to the flower image using blending options. Keep the settings as shown below. You will get the following result. Step 4 Right click on ‘Flower’ layer and choose ‘Duplicate layer’ to make a copy of flower layer. Apply Gaussian blur effect, (filter > blur > gaussian blur) to this layer. Keep the radius as 2 pixel. Next, move the ‘Flower copy’ layer below ‘Flower’ layer and set the opacity to 50%. Now comes the fun part, applying flames effect to the flower image! Using smudge tool spread the edges of the leaves. Step 5 For the background flame effect, take any fire image which is suitable for your flower image. 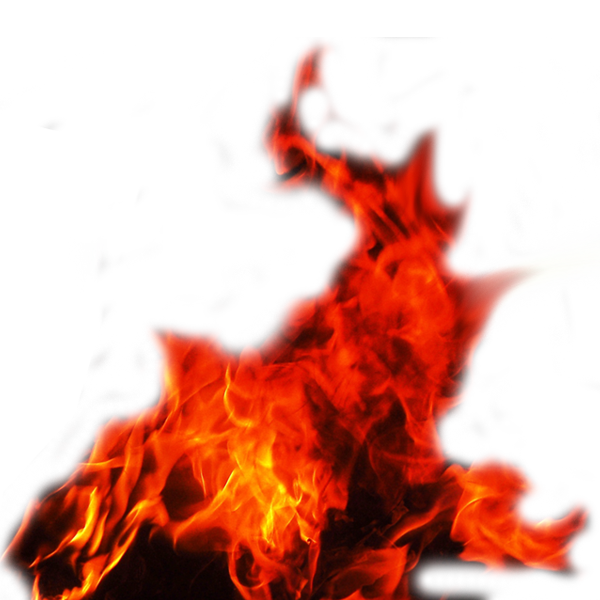 Here I have used fire.png image. Rename the layer as ‘Flame’. Using smudge tool spread the edges of the flames, repeat this process until you see the following result. Then move the ‘Flame’ layer below ‘Flower copy’ layer. Change the layer style to 'Lighten' and set the opacity to 20%. The result be like this. Step 6 Now we are coming very close to the ultimate burning flower effect. Take any fire image and cut the flames from it and keep this ‘Flames’ layer below ‘Flower copy’ layer. Move those cut flames to the suitable area of the flower image and blend the flames with flower image using smudge tool. Please see below images to understand this process better. Step 7 Repeat step 6 for all the areas of flower image where you want the flames to come out. There you go, a stunning fire effect is ready! Hope you enjoyed this tutorial.